Bianca Love is a vocalist, guitarist, and frontwoman of her band in New Orleans, LA. She is also a vocalist of Jesse Mcbride and the Next Generation Jazz Band, who play at Prime Example Jazz Club every Wednesday, and made her Jazzfest New Orleans debut with them in 2018. Bianca has played in numerous venues around New Orleans and has toured across India with her solo acoustic set and her band, and has played a total of over 150 venues and TV shows/webcasts such as Vh1 Music Diaries, Kappa TV and Balcony TV. She has done studio work and jingles for several notable companies including Microsoft Lumia, IIHM and Earth Day Network. 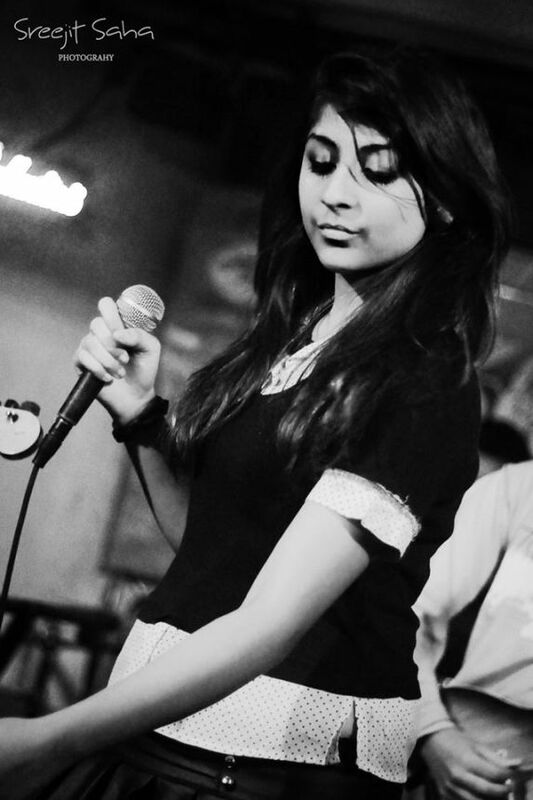 Bianca had lived in Calcutta from 2011-2015, and released her debut album Shady Sunrise in January 2015. 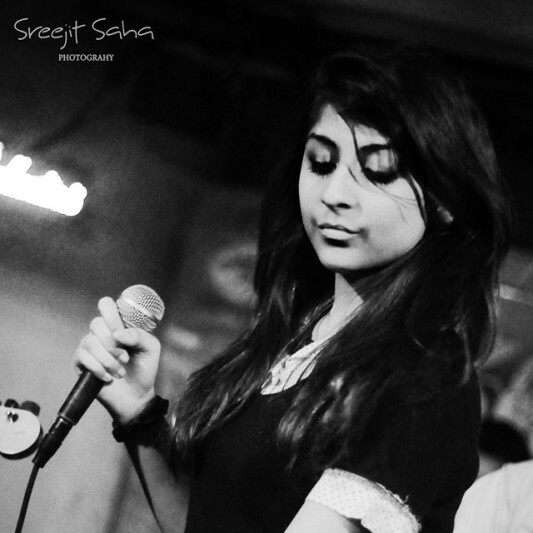 Later, she moved to Bombay in 2015 to hit the independent music scene. Her inspirations include D'angelo, Ray Charles, Stevie Wonder, Questlove, Syd the Kid, Amy Winehouse and Anderson Paak. She released her debut EP "Shady Sunrise" on iTunes and Amazon in January 2015. The album has been independently released. A: We live in an analog world. I always prefer analog sound to digital because it is more continuous and is a TRUE representation of sound. Digital sound is not continuous --- it uses specific values to pinpoint the changes in pitch, and has subtle nuances when changing. A long digital note, in its infantile stages, is a collection of shorter notes -- whereas a long analog note is the continued note itself. The downside to analog usage is the compromise of durability and reliability (e.g. a vinyl record getting scratched), for fidelity (sound quality). A: I'm the first musician in my family, and I've received little to no support from them since I started performing around 5 years ago. It was tough, and it still is, to be on your own and pursuing a dream which may end up going nowhere in the long run. When I started off, my first fear was remaining mediocre in terms of music. And when you're a young, female jazz musician, everyone will try and bring you down/undermine you. I just kept working. I'm still working to this day, and I hope to reach a certain point with my music one day. I've toured around India since then, and I've played over 150 shows...every show, no matter how draining and useless, I make sure to give my all. It's a paid practice if nothing else. I started interning at Blooperhouse Studios in Calcutta, India, and after observing Miti Adhikari (Nirvana, Coldplay, Jay Z, Radiohead) at work, I decided that production would be another career path I would choose to take. I started mixing and mastering ever since, and have worked for numerous projects and jingles. A: I would describe my style as an amalgamation of dixieland, smooth jazz and hiphop...I like well-produced beats and neosoul but I also like going back to my New Orleans roots and implementing that into my music. A: Jacob Collier- his harmonies are revolutionary! I would like to just sit with him and understand how he started visualizing his method, and how he learned to excel at playing so many musical instruments. A: Use reference tracks to make sure that you are headed towards the right direction with your mixing and mastering, and make sure to rest your ears periodically! A: I like applying the foundational knowledge of music I have learned to contemporary studio techniques to create musically and harmonically rich projects. A: I bring emotion, musicality, harmony, texture, clarity and high-production value to the music I create. A: Depending on the project, I use audio-visualizations of harmonies and melodies to a song with my DAWs. I edit with Cubase and I track with Ableton. I add harmonies by re-tracking vocals and instruments and sometimes using the harmonizer that comes with Nectar 2. For voiceover work, I emphasize on mood and tone. I make sure the dubbing work includes a lot of emotion and clarity. I write songs, track vocals for virtually any genre, and mix/master your tracks with Cubase. A: I use my laptop, Novation Launchpad (MIDI), Ableton Suite, Nectar 2 VST, Cubase 8, M-Audio Dual Channel Sound Card, instruments (guitar, trumpet), M-Audio Headphones, Crate Amplifier and M-Audio Condenser Mic. A: I am a session vocalist, and I also mix, master, add harmonies and record/edit projects for clients. I can give you HIGH QUALITY voiceovers, dubbing, session vocals, and any other requirements you have! I can mix, edit, and master your tracks as well. I am a professional singer and voice artist.